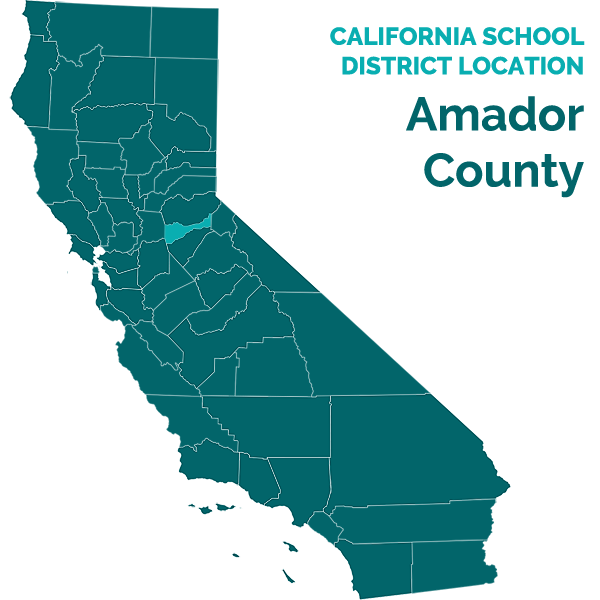 AMADOR COUNTY UNIFIED SCHOOL DISTRICT and AMADOR COUNTY OFFICE OF EDUCATION. Administrative Law Judge Rebecca P. Freie (ALJ), Office of Administrative Hearings, State of California (OAH), heard this matter in Jackson, California, on December 6-9, and December 15-16, 2010. F. Richard Ruderman, Attorney at Law, appeared on behalf of the Student. Student’s mother (Mother) was present for all the hearing. On August 10, 2010, Student filed a Request for Due Process Hearing (complaint). On October 14, 2010, Student’s amended complaint was filed. Testimony concluded on December 15, 2010. On December 16, 2010, a telephonic hearing was conducted and counsel presented their oral closing arguments. The record was closed on December 16, 2010.
b) Failed to give Parents prior written notice of its intent to change Student’s program? c) Failed to include Parents in any planning concerning the transition of Student to his new school, which was necessary due to his unique needs? e) Would not allow the classroom teacher to communicate with Parents about problems in the SDC classroom at Plymouth during the 2010-2011 school year which include, but are not limited to, a lack of equipment, changes to his program, health and safety issues in the classroom and other staff concerns? a) Failed to develop a transition plan for the change of his program and the change from one school site to another, which was necessary due to Student’s unique needs? b) Failed to consider Student’s physical safety needs when his program was changed from the structured autism SDC to the severely handicapped SDC, which also resulted in a change in the physical location, size and design of his classroom? d) Failed to provide him with an educational program that would meet his unique needs and provide him with educational benefit? 1 On a few occasions, Ms. Hawk was absent for very brief portions of the hearing due to other obligations, although none of these absences exceeded more than a few minutes. 2 Prior to the commencement of the hearing, the parties resolved several issues and those by way of a settlement agreement, and Student dismissed those issues with prejudice. Accordingly, those issues have been eliminated. The issues, as stated herein have been reworded and reordered for clarity by the ALJ, based in part on discussions on the record prior to the commencement of the due process hearing on December 6, 2010, and to conform to the evidence produced during the hearing and argued by the parties at the conclusion of the hearing as clarified herein. Except as stated herein, there are no other changes to the issues. 3 In the order following the prehearing conference (PHC), this issue focused on the alleged change of name of the classroom. However, based on the evidence produced by both parties during the hearing, and their closing arguments, it was clear that the parties intended this issue to focus on more than just the purported name change of the program. Rather, both parties understood that Student was alleging that the relocation of Student’s classroom from one site to another prior to the beginning of the 2010-2011 school year, and resultant changes in the classroom environment, constituted a unilateral change of placement of Student by the District. Accordingly, this issue has been reworded to add the legal theory that the relocation of the classroom and resultant changes constituted a change of placement. A party requesting a due process hearing may raise additional issues if the other party agrees. (Ed. Code § 56502(i). 4 This issue was reworded on the record at the commencement of the hearing from the wording in the order following the PHC. 5 This subissue is a consolidation of three separate ones in the Order Following PHC. Parents participated in an IEP meeting on March 4, 2010, during which the parties discussed and agreed to Student’s educational placement for the upcoming school year in the same program where he was placed during the 2009-2010 school year. Parents consented to this IEP. Several weeks later, Student contends, the District violated procedural safeguards of the Individuals with Disabilities Education Act (IDEA). First, Student claims that the District unilaterally decided to change the name of his educational program from a structured autism SDC to an SDC for severely handicapped students, and unilaterally changed the location of his SDC preschool/kindergarten class from a much larger classroom on the campus of Jackson, to a smaller classroom on the campus of Plymouth for the 2010-2011 school year. All of the alleged violations in Student’s complaint flow from the move of the SDC from Jackson to Plymouth. Because the classroom at Plymouth was much smaller, certain equipment and assistive technology that Student considered to be an integral part of his program could not be moved to Plymouth, and Student alleges that this changed his educational program and placement. Student claims that the District did not provide Parents with prior written notice of its intent to move the SDC, and changes in his educational program and placement. Further, because he is a child with autistic-like behaviors who does not adjust well to change, Student contends that the District should have created a transition plan for the move at an IEP meeting that included Parents, and because there was no transition plan, this made it difficult for him to adjust to the move. In addition, Student claims that the District failed to make a clear written offer of services because certain equipment and assistive technology that were an integral part of the Jackson SDC were not written into his IEP of March 4, 2010. Finally, Student contends that the District would not allow his teacher to communicate with Parents concerning problems in the SDC at Plymouth. As a result of these procedural violations, Student argues that his parents could not meaningfully participate in the IEP process, and as a result he was denied a FAPE. Student also contends that he was substantively denied a FAPE because the District failed to develop a transition plan for the change of the site of the SDC, failed to consider his physical safety needs when the site was changed, failed to address his sensory needs in the classroom, and failed to provide him with a classroom environment at Plymouth that would meet his unique needs. Student further claims that the District abruptly transferred all three permanent aides out of the Plymouth SDC, replacing them with two aides who did not have the necessary qualifications, and when the properly credentialed teacher of the SDC at Plymouth went on medical leave a few days later, the District replaced her with substitute teachers who did not have the proper credentials.6 Student claims that as a result of all of the above violations of the Individuals with Disabilities Education Act (IDEA), the District failed to provide him with an educational program that would meet his unique needs, and provide him with a FAPE for the 2010-2011 school year. Implicitly Student contends that the District did not provide Student with a FAPE, because it failed to implement the IEP of March 4, 2010, when it moved his classroom to a location that could not accommodate the equipment he needed to meet his sensory and instructional needs, and subsequently failed to staff the classroom with qualified personnel. 6 Student’s amended complaint was filed before the departure of the aides and teacher from the Plymouth SDC in October 2010. However, Student’s request in his opening statement that the ALJ make findings as to whether the District provided him with a FAPE from the beginning of the 2010-2011 school year to the date of the due process hearing was not challenged by the District. Throughout the due process hearing the parties treated these matters as properly addressed at the hearing and both parties produced evidence concerning these matters. Accordingly, they will be considered here. still was able to receive educational benefit, and thus a FAPE. Further, the District contends that it provided Parents with appropriate notice of the move. The District claims that Parents were able to meaningfully participate in IEP meetings, and their procedural rights were not violated. The District contends that it made a good faith effort to staff the Plymouth SDC with appropriately trained staff and credentialed substitute teachers when aides were transferred from the SDC, and the teacher went out on medical leave in October 2010. In addition, a program coordinator and school psychologist spent a significant amount of time in the SDC at Plymouth with the new aides and substitute teachers, providing them with support and assistance, and notwithstanding the changes, Student has been receiving a FAPE for the 2010-2011 school year through the date of the due process hearing. 1. Student resides with Parents within the boundaries of the District. He is now four years of age. He became eligible for special education and related services when he turned three in March 2009, in the category of speech and language impairment, although the parties agreed that he also has autistic-like behaviors. 2. In March 2009, Student began attending an SDC referred to as the structured autism SDC.7 He continued to be placed in this classroom for the 2009-2010 school year. The classroom for this SDC was located at Jackson, and was taught by Marie Elliott.8 Students in the SDC were three to eight or nine years old during the 2009-2010 school year, and the grade levels ranged from preschool through second grade. Most of the students were between the ages of three and six. 7 None of Student’s IEPs refer to his placement as the structured autism classroom. Rather, they state that he is placed in a “separate classroom,” with no indication that this placement is for children with autistic-like behaviors. 8 Ms. Elliot received her bachelor’s degree in youth agency administration in 1980, and her master’s degree in special education in 1987. She received her clear multiple subject teaching credential in 1983, her clear specialist instruction credential in special education in 1987, and a clear resource specialist certificate of competence in 2005. Her 1987 special education credential allows her to teach children who are moderately to severely handicapped, which includes children with autistic-like behaviors. She received specialized training from the UC Davis Autism Studies Program between 2007-2008, and has attended other intensive trainings to benefit children with autistic-like behaviors since 1994. Many of these trainings consist of dozens of hours of course-work. She has been teaching students with disabilities since 1980. Until 1987 she taught adults with disabilities, and thereafter primarily taught elementary school-age children with severe disabilities. She began working for the District in 1991, and in 2004 she was assigned as the teacher of the structured autism class at Jackson, teaching children between the ages of three to eight or nine, but primarily preschoolers and kindergartners with autistic-like behaviors. 3. At the end of the 2009-2010 school year, the District decided to move the preschool and kindergarten students in Ms. Elliott’s class to Plymouth for the 2010-2011 school year. Ms. Elliott and her staff would accompany these students, and an SDC for severely handicapped preschool and kindergarten students would be established on the Plymouth campus. The older children would be moved to other SDCs. 4. The structured autism classroom at Jackson was intended for 10 to 12 students. The Jackson classroom where the structured autism program was located before this school year, is an airy and spacious room with very high ceilings (at least 15 feet). The dimensions of the room (excluding adjacent bathrooms and kitchen which are shared with other classrooms) are approximately 34 feet, 10 inches, by 40 feet, 8 inches, for a total of 1417 square feet.10 The wall opposite the front door to the classroom is comprised of windows beginning about 30 inches from the ground, and extending up toward the ceiling. The classroom was more than adequate in size to include defined areas along the walls for student activities such as working on computers, circle time, a reading area, a quiet area, several areas for students to work in small groups as well as independently, and plenty of wall space for visual schedules for each student that would allow them to consult these schedules without interfering with others. 11 There was also plenty of space and equipment in the Jackson classroom to meet the needs of very active children. 9 On December 15, 2010, the ALJ, Mother and Student’s attorney, and Ms. Hawk and the District’s attorney visited both the Plymouth classroom and the Jackson classroom. The descriptions of the classrooms are based on the ALJ’s personal observations as well as the testimony of witnesses and other evidence. The ALJ advised the parties of her observations on the record, and the parties were permitted to add to or correct those observations on the record. Student’s attorney and Mother also tape-measured the classrooms and provided those results in an exhibit that was admitted without objection on December 16, 2010. 10 The District’s maintenance supervisor testified that his measurements of the room were 40 feet by 33 feet, five inches, for a total area of 1352 square feet. However, the ALJ witnessed the measurement of the classroom by Student’s attorney and Mother, and the maintenance supervisor testified that he had made an error when calculating the interior square footage of the Plymouth classroom, so Student’s measurements are used in this Decision. The discrepancy may have been due to the supervisor’s eliminating a counter and cupboard area under the classroom windows from his square footage total. 11 A visual schedule is a chart with icons that depict each activity the student will engage in during the school day. It helps children with autistic-like behaviors to transition easily from one activity to the next. The children consult their visual schedules throughout the day. 5. During the 2009-2010 school year, the structured autism classroom at Jackson had four or five computers for student use. Student used the computer daily. The classroom also included two trampolines, a swing, a hammock (which was also referred to as a swing), and a ball pit (also referred to as a ball bath) that was described as being four to five feet long and wide.12 There were also a slide, some stairs going up to a therapy bed, described as approximately twin bed size, but slightly longer, covered with a mat, and areas covered with mats adjacent to the therapy bed that allowed children to climb on the bed, and then jump off onto the mats. There were several highchairs in the classroom, where students could engage in sensory activities such as playing with shaving cream, eating, or fingerpainting. Several witnesses testified persuasively that Student used these items and areas daily to meet his sensory-motor needs as a child with autistic-like behaviors in a way that was, according to Ms. Elliott, “happy, fun and interactive.” Staff also used the equipment to reinforce his appropriate behavior. Student, like many children with autistic-like behaviors, is also extremely active, and this classroom had plenty of room for him to move around freely. 6. The evidence established that the Jackson classroom had approximately 1417 square feet of usable space for the students, including the space needed for the specialized equipment. The Jackson SDC was spacious, and accommodated the need for discrete areas around the sides of the classroom for small group and individual instruction, as well as a quiet area, a reading area, and places for the specialized equipment, with plenty of room for 10 to 12 active students, a teacher and three instructional aides. 7. The SDC classroom at Plymouth is intended to be used by eight to 10 preschool and kindergarten students, although no more than seven were enrolled in the class between the beginning of the 2010-2011 school year and the dates of the hearing. The Plymouth classroom is located in a portable building. The portable is rectangular in shape, almost twice as long as it is wide. The entrance is in the middle of one of the narrower ends of the building. As one stands in the entrance inside the portable, to the right is a small enclosed office. On the other end of the building on the right-hand side are two bathrooms, one for students and one for staff. The open space between the office and the bathrooms is an area containing a table and several chairs that appear to be used for snacks and eating lunch, and is referred to as the “alcove.” On the far wall of the alcove, as one stands at the front entrance, is a counter with a sink and cupboards, and a dishwasher. 9. In contrast to the Jackson classroom, the Plymouth classroom is dark, cramped and cluttered. Classroom materials can not all be contained in the kitchen cupboards, or in the bookcases, and some are stacked on the floor by walls or partitions, which decreases the amount of usable space, as do the bulky bookcase dividers. The evidence established that the usable instructional space in the classroom (excluding the bathrooms, office, kitchen counter and staff work area, as well as the bookcases and other storage areas) is approximately 590 square feet, possibly even less. 10. There is no room in the Plymouth classroom for a swing, a slide, trampolines, additional computers, highchairs, the therapy bed and mats for jumping onto it, or for stairs, or discrete work areas. Swings are available outside in a kindergarten area of a larger playground used by all the children at the school, but a student who needs a swing for sensory purposes at any given moment can not use those swings if a kindergarten class or other students are using the playground. Inclement weather will also limit use of these swings. There is climbing equipment and a slide in the preschool play area, which is on the opposite side of the campus. Children in the SDC are taken to the school’s computer lab once a week for 20 minutes to use computers there. The evidence established that even with only six or seven students in the Plymouth SDC, the room is still too small to hold the equipment Student requires to meet his sensory and educational needs, and to contain the small discrete workspaces that are an integral part of a classroom for children with autistic-like behaviors. 11. Several District witnesses testified that they did not believe the SDC classroom at Plymouth was too small for use as a structured autism classroom, but other qualified witnesses contradicted this testimony. The preponderance of the evidence supports a finding that the portable classroom at Plymouth used for the structured autism program is too small and awkwardly configured to be used for this purpose. 12 This was described as an area filled with plastic balls where students could play, and also receive full-body pressure to meet their sensory needs. 14 The shape of the usable instructional space in the Plymouth classroom can best be described as an upper case letter “T” that has a short, fat stem, which is the alcove on the right-hand side, with a long narrow horizontal bar at the top consisting of the cubby area, small work areas and circle time area. 12. The IDEA imposes upon the school district the duty to conduct a meaningful IEP meeting with the appropriate parties. Parents play a major role in the development of the IEP and are required and vital members of the IEP team. Parents have meaningfully participated in the development of an IEP when they are informed of their child’s problems, attend the IEP meeting, express their disagreement regarding the IEP team’s District members’ conclusions, and request revisions in the IEP. 13. If an IEP is not meeting the needs of a child, there is an expectation that it will be changed with another team meeting convened for this purpose, or by way of amendment with parental input. 14. A procedural violation of IDEA constitutes a denial of FAPE only if the violation: (1) impeded the child’s right to a FAPE; (2) significantly impeded the parent’s opportunity to participate in the decision-making process; or (3) caused a deprivation of educational benefits. 15. An educational placement is a unique combination of factors such as facilities, personnel, location and/or equipment that a special education student requires to meet his unique needs, and is specified in his IEP. Merely changing the location of a specific educational program is not necessarily a change of placement. 16. The unilateral decision of a school district to change a student’s placement and services may constitute a procedural violation. Student contends that the District unilaterally made the decision to change the name and location of Student’s SDC and this was a change of placement. Because parents were not consulted, this was a procedural violation that impeded Parents’ right to participate in the IEP, and this denied Student a FAPE. 17. The structured autism program that Student attended from March 2009 through the end of the 2009-2010 school year began in 2004 or 2005, and was located in a large room at Jackson when Student began attending in March 2009. Ms. Elliott was the SDC teacher from the inception of the program. Ms. Elliott, the Jackson occupational therapist, and others collaborated over the years in designing the layout and equipping the Jackson SDC with equipment to meet the students’ sensory needs. 18. On March 4, 2010, Student’s IEP team met to determine his educational program for the remainder of the 2009-2010 school year and the 2010-2011 school year. Parents participated in this meeting and consented to the IEP developed there. Factual Finding 38, below, discusses the specifics of the IEP in pertinent part. Jackson was not designated in Student’s IEP of March 4, 2010, as the location of the SDC where Student was to be placed, although everyone at the IEP meeting understood that Student would again be placed in Ms. Elliott’s structured autism class. That class had always been located on the Jackson campus, and the participants had no reason to believe it would be moved, so there was no discussion at the IEP meeting about relocating the SDC. The specialized equipment in the classroom was not included in Student’s IEP because the IEP team at the time considered it to be an integral part of the program. 19. On May 4, 2010, Ms. Hawk informed Ms. Elliott by email that the location of Student’s program was changing from Jackson to Plymouth. Ms. Hawk asked Ms. Elliott to call the parents of the students in the SDC to inform them that the location of the program was changing, but also said that this did not constitute a change of placement. Only the students who were preschool or kindergarten age would remain in the program with Ms. Elliott as their teacher, with the location of the classroom changing from Jackson to Plymouth. 20. Ms. Hawk explained that there were two reasons for the change of location of the SDC to Plymouth. First, Ms. Hawk was concerned that several students in Ms. Elliott’s class were older than five or six, and thought that there should not be such a large age range in the SDC. She believed that it was appropriate to place these older children in an SDC with children who were six years of age or older, and keep the age range of students in the structured autism program SDC between three and six, the ages of preschool and kindergarten students. The evidence established that Ms. Elliott had a separate program and area in the Jackson classroom for these older children, who spent a large portion of the day working on academics on the computers, so there was not much overlap in program between the preschoolers and kindergartners and the older students. 21. The second reason for changing the location of the autism SDC for preschoolers and kindergartners to the Plymouth campus was to enable those students in the class to participate in mainstreaming activities with typically developing preschool-aged children. There was no such preschool classroom at Jackson, although there was one at Plymouth. 22. The evidence established that the move of the structured autism SDC from the Jackson classroom where it was previously located, to the Plymouth portable, was a change of placement. The Plymouth facility was too small to continue to provide Student with in-room computers for instructional purposes on a daily basis. The computers, trampolines, in-room swing, stairs, therapy table, mats, highchairs, and other pieces of equipment that did not fit in the Plymouth classroom were an integral part of the structured autism program at Jackson, and the move to a much smaller classroom that could not contain this equipment constituted a substantial modification of facilities and equipment that Student required to receive educational benefit.15 Although some sensory equipment was moved to Plymouth, such as brushes and weighted blankets and vests, these items did not make up for the equipment that was not moved, or broken in transit. In addition, Student, like many children with autistic-like behaviors, was an extremely active child who ran everywhere. The lack of space for active children to move around in the Plymouth classroom exacerbated the problems of a classroom that was already too small. 23. The decision to move the SDC from Jackson to Plymouth was made in April or May 2010 by Ms. Hawk, without input from either Ms. Elliott, or any of the SDC students’ parents.16 Although Parents attended an IEP meeting on June 4, 2010, and told the Ms. Hawk that they disagreed with the proposed move, they were not informed that the school board had not yet given formal approval, and would be meeting to do so, in five days. At a school board meeting on June 9, 2010, approval was given for the move of the structured autism program to the Plymouth campus. Several other classroom locations for SDCs in the District were also changed. 15 Ms. Elliott and her aides initially marked all of the equipment in the Jackson classroom to be moved to Plymouth. However, some equipment was unmarked after Ms. Elliott saw the Plymouth classroom and realized that equipment would not fit. Other equipment, such as the swing and trampoline were moved to Plymouth, and then were found not to fit and removed. Still other equipment, such as the highchairs, were marked but not moved per Ms. Hawk’s instructions. 16 Ms. Hawk has been the executive director of special education for the District, and SELPA director, since the beginning of the 2009-2010 school year. The previous school year she was the director of special education and SELPA director for the Pasadena Unified School District. From 2004-2008, she was a special education coordinator for the Centralia School District. Ms. Hawk was previously a resource specialist in the Buena Park School District during 2003-2004 school year and an assistant principal at an Orange County charter school the previous school year. Ms Hawk received her bachelor’s degree in psychology and speech and hearing science in 1976, and her master’s degree in education in 2002. She has completed course work for a doctoral degree with an emphasis in educational administration. Ms. Hawk received her preliminary educational specialist credential and a clear multiple subject credential in 2001. In 2008 she received her clear administrative credential. 24. Although there was evidence that Parents attended other school board meetings, there was no evidence that Parents attended the meeting of June 9, 2010, at which the change of placement was authorized. Rather, it appeared that Parents attended later meetings during the summer to register their concerns about the program moving from Jackson to Plymouth after they had an opportunity to tour the Plymouth campus with Ms. Hawk, and after the school board had approved the move. Further, the teacher of the general education preschool at Plymouth (general education preschool) testified persuasively that she was not told that the SDC students in Ms. Elliott’s class were to be incorporated in mainstreaming activities with her class until the first day of the 2010-2011 school year, August 18, 2010. 25. The evidence did not clearly establish whether the District formally changed the name of Student’s program from the structured autism program to an SDC for severely handicapped students when the classroom site was changed to Plymouth. 17 Most witnesses, including Ms. Hawk, still referred to Student’s classroom as the structured autism, or just autism classroom when they testified. Regardless if the name of the program was changed, this name change in and of itself did not constitute a change of placement for Student. 26. However, the evidence established that, collectively, the other changes in Student’s program described above were so substantial that the District changed Student’s placement when it moved his program from Jackson to Plymouth. Moreover, this decision was made unilaterally by the District, over the objections of Parents. This denied them meaningful participation in the IEP process, and decreased educational opportunities for Student. 27. A school district must provide written notice to the parents of a pupil whenever the district proposes to change the educational placement of the pupil, or the provision of a FAPE to the pupil. The notice must contain a description of the proposed action, and an explanation, as well as a description of the information the agency used as a basis for the proposed action. The notice must also notify the parents that they are entitled to procedural safeguards, and notify them as to how they can obtain a copy of those procedural safeguards. It must also inform the parents of sources of assistance they may contact, a description of other options that the IEP team considered and why these were rejected, and a description of the factors relevant to the agency’s proposal. Failure to provide parents with prior written notice is a procedural violation. 17 Ms. Hawk testified that there was a District publication that referred to the SDC as the SDC for severely handicapped children, and this was done so that children who were not necessarily autistic, but who had communication and behavioral issues that were core deficits could be enrolled in the program. 28. Student contends that he was denied a FAPE, because Parents were deprived of meaningful participation in the IEP process from March 5, 2010, to the present, due to the District’s failure to provide them with prior written notice of its decision to change his educational placement by moving his program from Jackson to Plymouth. 29. As previously determined, the move of the program from Jackson to Plymouth was a change of placement. The District knew by June 4, 2010, that Parents were dissatisfied with the proposed relocation of the program. The District knew before the beginning of the school year that much of the equipment from Jackson would not fit in the Plymouth classroom. Nevertheless, Parents were not provided with prior written notice at any time. Accordingly, the Parents’ ability to contest the move of the program from Jackson to Plymouth was compromised, and this may have caused a delay in the filing of their complaint with OAH. Again, the failure to provide Parents with prior written notice contributed to Student being denied a FAPE. 30. Student contends that due to his unique needs, he required a plan to assist him in transitioning into the Plymouth classroom when the SDC was moved from Jackson to Plymouth. The IEP team made no such plan, and Parents therefore contend that they were denied meaningful participation in the IEP process, and this procedural violation resulted in Student being denied a FAPE. 31. The evidence established that Student, like many children with autistic-like behaviors, does not adjust well to change. Ms. Elliott testified persuasively that in her opinion, the IEP team should have discussed and devised a plan to assist Student in transitioning from the Jackson classroom to the Plymouth classroom during an IEP meeting of June 4, 2010.18 That plan should have included pictures of the new campus and classroom, trips to the campus and classroom prior to the start of the new school year, and the development of social stories to introduce Student to this new classroom environment.19 If Student had been introduced to the Plymouth campus by being shown pictures of the campus, the preschool playground, and his new classroom, and had been allowed to visit before school started, he would have adjusted more easily to the new classroom. 18 The purpose of the IEP meeting of June 4, 2010, was two-fold. The first part of the meeting was held to complete discussion of a behavior support plan (BSP) for Student, and to obtain Parents’ written consent to the BSP. The second part of the meeting consisted of a discussion concerning Parents’ concerns about the move of Student’s SDC classroom from Jackson to Plymouth. 19 Social stories are frequently used with children who have autistic-like behaviors to help them transition to a novel activity or place. A “social story” is a script that explains to a child a future event, and methodically describes what will happen, who will be part of the change, and what new places will look like. The child will be told the story many times before the event, in order to prepare him for transition to something new. 32. Due to a deteriorating relationship with Ms. Hawk, her supervisor, Ms. Elliott did not feel comfortable bringing up the subject at the June 4, 2010 IEP meeting. Mother credibly testified that she tried to discuss formulating a transition plan at this meeting, but was ignored. 33. Once it was evident that the SDC would be moved from Jackson to Plymouth, the District should have held another IEP team meeting to create a transition plan to help Student adjust to the move to a new and very different classroom and school setting. This did not happen. 34. The evidence established that Student was substantially and negatively affected by the change of location of his classroom. Student had always expressed frustration by screaming, but this behavior was more prevalent at Plymouth. Student was not happy at school. He became very agitated and would not stay seated for instruction. At times he would put his hand down his throat to try and gag himself. He stopped being willing to try new foods, and stopped feeding himself “like a big kid” as he had been taught to do at Jackson. He preferred to sit in a “break” chair, than to play. Although he had been an eager student at Jackson, excited about going to school each day, he began telling Parents that he did not want to go to school. His behavior became aggressive at home, with episodes of screaming, throwing things, and hitting things. He began defecating in his pants at home, although he had previously been fully toilet-trained. All of these factors affected Student’s ability to obtain educational benefit in the Plymouth classroom. 35. Failure of the District to discuss a transition plan with Parents, or arrange for an IEP meeting to develop a transition plan for this change of placement, denied Parents meaningful participation in the IEP process, and Student was deprived of educational benefit for the 2010-2011 school year as a result of this failure. 36. An IEP offer must be sufficiently clear that a parent can understand it and make intelligent decisions based on it. The requirement of a coherent, formal, written offer creates a clear record that helps eliminate factual disputes about when placements were offered, what placements were offered, and what additional assistance was offered to supplement a placement. 38. The description of Student’s program in the IEP of March 4, 2010, is “Separate classroom in a public integrated facility.” There is no indication in the IEP that Student’s program was designed for children with autistic-like behaviors. The presence of the specialized equipment in the Jackson classroom, the layout of the room with discrete instructional areas, and the qualifications of the teacher and staff demonstrated that this was an SDC for children with autistic-like behaviors. The District failed to specify in Student’s IEP that he was placed in such a class, and this was a failure to make a clear written offer of placement and services. 39. Not every piece of equipment used by a student in a specific classroom needs to be mentioned in the IEP. In fact, equipment that is an integral part of a student’s SDC, the layout of the SDC, and the staffing of an SDC are usually not included in the IEP. However, in this case, there was no evidence that the District had a formal description of the Jackson SDC in existence when the IEP was written in March 2010, and the lack of even stating in the IEP that the classroom was designed for children with autistic-like behaviors deprived Parents of a clear written offer of placement and services for their child. 40. Student established that he required a variety of equipment to address his sensory needs as a child with autistic-like behaviors, although he failed to establish that any specific equipment in the Jackson classroom was required for him to achieve educational progress, with the exception of a computer to assist him with reading and behavioral goals, as described below. However, Student did establish that failure to define his program with specificity permitted the District to remove a significant amount of equipment to address his sensory needs from the Plymouth classroom, without any replacements. 41. The failure of the District to provide a specific description of Student’s program was a failure to make a clear written offer. As a result, Parents were denied meaningful participation in the IEP process, and this failure denied Student a FAPE for the 2010-2011 school year. 20 Descriptions of Student’s present levels of performance in several academic and developmental areas are contained in IEPs dated February 24, 2009, and March 4, 2010, and a comparison of these descriptions from one year to the next shows tremendous growth in his skills and abilities. 42. There is nothing in the IDEA, or California statutory law, that requires a teacher to communicate with parents in any way other than through the IEP meeting process, and the issuance of periodic progress reports. The evidence established that Ms. Elliott communicated with parents of students in the SDC after school started in August 2010. In addition, even if the District had imposed limits on the communication from classroom staff to parents, this was not a procedural violation of the IDEA. 43. Under both the IDEA and State law, students with disabilities have the right to a FAPE. A FAPE means special education and related services that are available to the student at no charge to the parent or guardian, that meet the state educational standards, and conform to the student’s IEP. The IDEA does not require school districts to provide special education students the best education available or to provide instruction or services that maximize a student’s abilities. School districts are only required to provide a basic floor of opportunity that consists of access to specialized instruction and related services individually designed to provide educational benefit to the student. However, a determination of educational benefit must take into account a student’s potential. 44. An IEP can be modified at any time, if the IEP team agrees. If a child’s needs change, or there are other changes of circumstance, the IEP team should meet and modify the IEP. A failure to implement a student’s IEP will constitute a violation of the Student’s right to a FAPE if the failure was material and the student was denied a FAPE as the result of the failure to implement the IEP. 45. Student contends that he was denied a FAPE because the District did not develop a transition plan for the change of his program and the change from one school site to another, which was necessary due to Student’s unique needs. As a result, Student has had substantial difficulty adjusting to Plymouth. There was no evidence that the District made any attempt to develop a transition plan for Student to help him adjust to the move of his program from Jackson to Plymouth. 46. Student’s attendance at Plymouth has suffered. Although he was ill on many occasions, there was also evidence that at the time of the due process hearing, Student often expressed to Mother that he wanted to stay home, and he did not want to go to school. As will be discussed below, there were several events and factors that also contributed to Student being denied a substantive FAPE, but the failure to create a transition plan created a situation in which Student began the school year in a new classroom environment at a disadvantage. 47. Student contends that the District failed to consider his physical safety needs when his program was changed from the structured autism SDC to the severely handicapped SDC, which also resulted in a change in the physical location, size and design of his classroom. 48. At the IEP meeting on June 4, 2010, Parents expressed concern that the Plymouth campus was not a safe place for Student, as he sometimes would attempt to run out of the classroom, or off the playground. It was agreed that Parents would accompany Ms. Hawk to Plymouth to tour the campus. 49. When Parents toured the Plymouth campus, in July or August 2010, they pointed out several areas on the campus that they believed made it an unsafe location for the SDC. The District responded to many of these concerns by adding additional fencing to the areas where the SDC children would be playing, moving unnecessary storage structures, and in other ways. 50. Although there was at least one incident in the play area outside the general education preschool classroom at Plymouth during the 2010-2011 school year when Student tried to unlatch a gate, there was no evidence that Student ever escaped, or suffered injury on the Plymouth campus. 51. Concern was expressed that the Plymouth classroom might be unsafe due to mold and a rodent infestation. Also, a sandbox outside the classroom was being used as a litter-box by neighborhood cats. The District had outside companies conduct inspections to determine if mold was present in the classroom, or if there was a rodent infestation. These inspectors found no evidence of dangerous mold or current rodent infestation. There was some indication that the heating, ventilation and air conditioning was not working properly, but a filter was changed and repairs were made that corrected this problem. The evidence was inconclusive as to whether the District’s attempts to keep the sandbox area covered with a weighted tarp was effective in keeping the sandbox unavailable to neighborhood cats, but there was no evidence that Student used the sandbox, or suffered harm as a result of using it. 52. There was no evidence that Student was exposed to or suffered any injury in the Plymouth classroom. Therefore, Student failed to establish that the District failed to consider his physical safety needs when the structured autism SDC was moved from Jackson to Plymouth. 53. As previously discussed in Factual Finding 22, much of the equipment used to meet Student’s sensory needs was not moved or included in the Plymouth classroom. This equipment included swings, a slide, padded therapy bed, stairs, mats and highchairs. The trampolines were moved to the site, but were broken during the move and not replaced. 54. The 2010-2011 school year began August 18, 2010. Ms. Elliott and the aides were very challenged in the new classroom at Plymouth because so much of the equipment that they used to address Student’s sensory integration needs as a child with autistic-like behaviors had not been moved, or was now unusable, such as the Rifton chairs and trampolines. Because the classroom lacked this equipment, it was more difficult to address Student’s sensory integration needs, and to instruct him and get him to focus. As previously discussed in Factual Finding 34, Student’s behavior deteriorated at Plymouth, and he also showed regression at home.55. Student frequently used the ball pit, slide, stairs, therapy bed and mats. This equipment not only satisfied his need for physical activity, but also addressed his needs for sensory input and stabilization. This was also true of the swings and trampolines. 57. The highchairs in the Jackson classroom served many purposes for Student. They provided a secure environment for him to engage in sensory activities such as fingerpainting and playing with shaving cream. Student, like many children with autistic-like behaviors, had eating problems. He only liked to eat a very limited variety of foods, so lunchtimes and snack times gave staff an opportunity to help him to try new foods. However, staff found it difficult to introduce new foods to him when he was not sitting in a highchair. 58. The lack of highchairs in the classroom also created safety concerns for Staff. It was easier and safer for staff to help Student with activities when they could stand or sit behind him or in front of him, and did not have to lean across a table to reach Student and assist him in hand-over-hand activities, for example. In the Plymouth classroom, one of the aides was injured when Student suddenly tried to stand up from a preschool sized chair at a table when the aide was leaning over behind him, and Student’s head hit her chin. Had Student been seated in one of the highchairs, the aide would not have been injured. 21 Rifton chairs are specially designed chairs that help children with disabilities to sit with correct posture, and provide compression while seated for children with autism. 59. The lack of sufficient equipment to address the other children’s sensory needs in the classroom also affected Student. The evidence established that because other children’s sensory needs were not addressed in the Plymouth SDC, they too would act out, and this was disruptive to all the other children, including Student. The room was very noisy, and there was no place to take a child in a tantrum to calm him down away from the others. Student’s ability to access the curriculum and obtain educational benefit was affected by the disruptions caused by other children, which would cause him to act out, or keep him from focusing on his work. 60. Prior to the beginning of the school year, Ms. Elliott tried to arrange the Plymouth classroom in a manner that would provide small work areas as well as larger areas for circle time and snacks. Because the room was so small and configured awkwardly, this was very difficult. In fact, Ms. Elliott and her staff had rearranged the room four times before the end of October 2010. 61. In the Jackson SDC classroom, discrete areas for small group or one-on-one instruction, circle time, and quiet time were separated from each other so students in a specific area were not distracted by staff and students using other areas. In the Plymouth SDC classroom the small areas are side-by-side, and it is easy for students and staff to be distracted by what is going on in an adjacent area. This is the case with Student. This affects the quality of instructional time for Student. Ms. Elliott testified persuasively that Student made virtually no progress on his reading goal benchmark to learn blended beginning sounds of words because the Plymouth classroom was too noisy to provide him with adequate instruction. However, between the development of the reading goal on March 4, 2010, and the end of the 2009-2010 school year, Student had exceeded the benchmark for that quarter at Jackson. 62. When a student exhibits serious behavior problems in the school setting that impede his ability to make educational progress, a BSP may be created to eliminate the behavior. A BSP describes the targeted behaviors, describes the environment in which the behaviors occur and the events preceding the behaviors. A strategy is developed to either prevent the targeted behavior, or to control it if it cannot be prevented using positive reinforcement. Towards the end of the 2009-2010 school year, the school psychologist at Plymouth, Steven Pedego, created a BSP for Student. Ms. Elliott and the classroom aides began implementing the BSP at the beginning of the 2010-2011 school year. However, the size of the classroom at Plymouth limited their ability to do this. 63. Student had a history of escaping from the classroom, running away from adults when frustrated, and screaming in the classroom several times each day. Student had a tendency to scream when he wanted a preferred object, or wanted to do an activity in another area, but was prevented from doing so by staff, or when someone would get in his way. The behavior plan was designed to have Student replace his screaming behavior with asking for something in a quiet voice. However, due to the small size of the Plymouth classroom, Student would escape from one area to another that was not on his schedule, grab a preferred object, and then scream when someone tried to take it back. Then, he would ask for the item in the quiet voice as he was supposed to. This diminished the effectiveness of the BSP because Student was still screaming, although he was then engaging in the desired replacement behavior. In addition, one of the primary reinforcements for Student’s desired behavior was computer time, but computers are not available in the Plymouth classroom. 64. The evidence established that the classroom environment at Plymouth does not meet Student’s unique needs. It is too small for the sensory equipment he needs. Due to its size and configuration, it cannot be optimally arranged into effective small areas. It is too noisy. It lacks computers for Student to use both as reinforcement pursuant to his BSP, as well as helping him with his reading. The classroom lacks equipment such as highchairs that created a much more effective learning environment for Student at Jackson.65. Progress reports prepared by Ms. Elliott in October 2010 showed that Student had made some progress on some of his goals and received educational benefit. He did not, however, make meaningful progress on his reading goal, and a goal concerning toothbrushing and therefore did not receive educational benefit in those areas. The evidence established that his lack of progress in these areas, and ineffectiveness of the BSP was due to the classroom environment. Student would have made significantly more progress had it been easier to address his sensory integration needs in the classroom. 66. The evidence established that the SDC classroom at Plymouth lacked equipment to address Student’s sensory and educational needs, and this contributed to him failing to make meaningful progress in some areas for the 2010-2011 school year. 68. Ms. Elliott and her three aides were extremely frustrated by the working conditions in the Plymouth SDC. They struggled to create a classroom environment that would meet Student’s needs, although they were lacking the space and equipment of the Jackson classroom. They wrote at least one letter to the District Superintendent expressing their concerns. 69. On or about Monday, October 18, 2010, the three classroom aides in Ms. Elliott’s classroom were summoned to a meeting with the Superintendent and Ms. Hawk. A representative of their union was also present, as was someone from the Human Resources Department. The aides were told that they were being transferred, and given a choice of schools where there were openings for aides. None of the aides had asked to be transferred, and no reasons were given to them for the transfer. The evidence established that the transfer of the aides from Ms. Elliott’s classroom was involuntary. Ms. Elliott was notified at 3:30 p.m. that afternoon that her aides would not be returning the next school day. Ms. Elliott had an excellent relationship with these aides. The three aides never returned to the Plymouth classroom, and were replaced by two substitute aides, only one of whom had had substituted in the SDC previously and had experience working with autistic children. 70. On October 21, 2010, Ms. Elliott’s physician advised her that she was suffering from health problems, and she needed to take a leave of absence from her teaching position. Ms. Elliott was scheduled to return to work on November 11, 2010. However, she continues to be on medical leave, and is not scheduled to return to the Plymouth SDC until January 3, 2011. 71. After Ms. Elliott was placed on medical leave, the staffing of the Plymouth SDC became chaotic. The District replaced Ms. Elliot with a substitute teacher, Cari Taylor. Ms. Taylor had a mild to moderate special education credential, but did not have the appropriate credential or certification to teach an SDC for children with autistic-like behaviors. However, she had substituted for Ms. Elliott in the past, and was Ms. Elliott’s preferred substitute. Because she was not properly credentialed, Ms. Taylor could only teach the SDC class for 20 cumulative days in a school year. After Ms. Taylor had used up her 20 cumulative days of substituting in the class, she was then replaced by another substitute teacher who also did not have a credential or certificate to teach children with autistic-like behaviors. There was evidence that one or two other substitute teachers were also placed in the Plymouth SDC during Ms. Elliott’s medical leave for just one or two days apiece. During the due process hearing, the District hired a properly credentialed teacher to take over the Plymouth SDC as a permanent substitute until Ms. Elliott returned. This teacher’s first day in the class was December 13, 2010. 72. Prior to Ms. Elliott’s scheduled return from leave in November 2010, the District assigned a permanent aide to replace one of the substitute aides. This new aide had been trained to work with children who had autistic-like behaviors several years before in another school district. The substitute aide who remained in the class and was apparently given permanent status has no prior experience working with autistic children, and there has been no replacement for the third aide who was removed from the SDC in October 2010. 73. Student was very distressed when the classroom aides disappeared from his SDC at Plymouth. He was especially close to one aide, who had been in Ms. Elliott’s classroom for several years, and all three aides had been assigned to Ms. Elliott’s SDC for the 2009-2010 school year. After Ms. Elliott went on medical leave, Student became even more distressed and resistant to going to school. 74. The mother of another student in the class testified about her observations of Student in the classroom up to the time of the due process hearing. This mother brings her son to school each day an hour after school has started. Her son and Student have a somewhat conflicted relationship, and whenever she arrives with her son, Student begins screaming. Ms. Elliott and the previous aides were very effective in controlling this behavior, but this behavior has not been successfully controlled since Ms. Elliott and the previous aides left the SDC. This mother observed that there does not seem to be a consistent class schedule. Further, whenever someone comes into the classroom, all of the children leave their work areas and run to the door to great the newcomer. Prior to the departure of Ms. Elliott, children remained on task when someone new entered the classroom.75. Mother and Ms. Elliott testified credibly that if Student received an educational program and services similar to what he had received during the 2009-2010 school year, they both anticipated that he could be placed in a regular education kindergarten class for the 2011-2012 school year. Ms. Elliott believed that it might even be possible for Student to be mainstreamed for a portion of each school day in the state preschool classroom at Plymouth by January 2011. 76. In mid-October 2010, Ms. Elliott prepared progress reports for seven of Student’s goals that were developed at the March 4, 2010 IEP meeting. Although he had not met benchmarks for every one of those goals, he had made some progress. However, the District failed to present evidence to establish Student’s educational progress after Ms. Elliott went on leave from any teacher or aide or other person who had been present in Student’s classroom on a day-to-day basis consistently since October. 77. At the beginning of the school year, Ms. Hawk asked a program coordinator, Mitzi Faulkner, to visit Ms. Elliott’s SDC regularly to make sure she had access to any needed support.22 Prior to Ms. Elliott’s medical leave, Ms. Faulkner had visited the Plymouth SDC a few times. From the time Ms. Elliott went on leave, to the time of the due process hearing, Ms. Faulkner estimated that she had visited the classroom approximately 30 times, staying anywhere from an hour to a whole day. Ms. Faulkner testified that she believes Student made educational progress, and received educational benefit after Ms. Elliott went on leave. 22 Ms. Faulkner received her bachelor’s degree in 1991, with a major in liberal arts and a minor in child development. She has a master’s degree in special education, and recently completed coursework and field work for a certificate that will allow her to teach children with autism, and is awaiting the issuance of this certificate. Ms. Faulkner has been teaching in California since 1994, and received her mild to moderate special education credential in 1997 or 1998. She began teaching regular education students in 1994, and began teaching special education students in an SDC in 1998, and did so for eight years. She also has an administrative credential that she obtained in 2008, and has worked as a behavior specialist and administrator since 2008. Ms. Faulkner began working for the District in July 2010. 78. Ms. Faulkner only saw Student sporadically during her visits, and was not asked specifically to observe him to determine what progress he was making. Further, because she was not employed by the district last year, she is not familiar with Student’s behavior in the Jackson classroom and the amount of progress he made the previous year. Therefore, her testimony that she believes Student continued to make educational progress after Ms. Elliott went on leave was not substantial or supported by the evidence. 79. Mother testified persuasively that, in her opinion, Student has not made progress in any area at school since Ms. Elliot went on leave. The evidence established that the abrupt departure of the aides and teacher, and the replacement of the teacher and aides by new, and sometimes unqualified personnel, drastically changed Student’s educational program. The preponderance of evidence showed that Student’s progress after October was negligible. The evidence established that Student has been denied a FAPE for the 2010-2011 school year. 80. The IDEA requires that students with disabilities be placed, to the extent practicable, in classrooms with typically developing peers. If this is not possible, the students need to be mainstreamed as much as possible with these typically developing peers. Such mainstreaming may occur on the playground, at lunch or in assemblies, if it is not possible for the children with disabilities to periodically participate in regular education classes. Placement must foster maximum interaction between students with disabilities and their nondisabled peers. The law favors mainstreaming, although it recognizes that a less restrictive setting may not always meet a child’s unique needs, and for some students a more restrictive setting may be necessary to provide a student with a FAPE. 81. Ms. Hawk testified that the SDC was moved from Jackson to Plymouth because the preschool children in the class needed to have the opportunity to interact with typically developing preschoolers, and there was no such preschool class at Jackson. 82. At Jackson, students in Ms. Elliott’s SDC for the 2009-2010 school year were purposefully mainstreamed with typically developing kindergarten students when they were four and approaching kindergarten age because there was no regular preschool on the campus. At Jackson, after Student was four years old, he interacted with kindergarten students at recess and lunch. He was shadowed by adults who assisted in facilitating interaction between him and the other children. 83. Student’s mainstreaming experience with the kindergarten class at Jackson was positive. He was making friends, learned to stay seated with them when eating lunch, had peer tutoring and was developing appropriate social skills. Student was participating in these mainstreaming activities three to four times a week. Had Student’s class remained at Jackson, he would have been mainstreamed with typically developing kindergartners more frequently than the previous school year since it was anticipated that he would begin attending a regular kindergarten class in the fall of 2011. Because Student turned four in early March of 2010, and children may begin kindergarten in September if they will be five by December 2 of that school year, it is likely that some children in the kindergarten class are no more than three to six months older than Student in the current school year. 84. When Student began attending the SDC at Plymouth, the SDC preschool-aged children began interacting with typically developing general education preschool students during a 30-45 minute outdoor recess time. On occasion, Student played basketball with members of the regular preschool class, and he also played with them at a water table. It was unclear from the testimony at hearing what kind of interaction between the two classes was available once the weather precluded outdoor playtime, although there was evidence that Student visited the regular preschool at Plymouth twice during the 2010-2011 school year to participate in a music activity. There were attempts by the adults to facilitate interactions between the SDC students and preschool students during recess, but this was difficult due to the number of students and the large space that was being used for recess. The adults were primarily occupied with keeping the children in sight and safe. 85. The difference in mainstreaming at Jackson for the 2009-2010 school year, and Plymouth for the 2010-2011 school year was insubstantial. Although the goal of mainstreaming the preschool aged children in Ms. Elliott’s class for part of the day with same-aged typical peers was laudable, the move resulted in Student being denied a FAPE, and FAPE can not be sacrificed for LRE. Jackson was the LRE for Student, because that was where he could be provided with FAPE. 86. An ALJ in a due process hearing has broad powers to grant relief. This relief is equitable in nature. 87. Student requested, in his closing argument that the ALJ order the District to hire a consultant with expertise in the area of designing programs and classrooms for preschool and kindergarten children with autistic-like behaviors to recommend and implement necessary changes to the Plymouth SDC to remediate the shortcomings in that classroom and program. However, appropriate relief must be crafted solely for this Student. 88. As a remedy for the District’s failure to provide Student with a FAPE for this school year, the District shall provide Student with a classroom that is spacious enough to contain discrete instructional areas for both one-to-one and small group instruction, a quiet area, a reading area, an eating area, and a circle-time area. These areas shall be sufficiently separate from each other so that Student is not distracted by others when using one of these spaces. In the classroom, or adjacent to it, shall be an area with sufficient equipment to meet Student’s gross motor and sensory integration needs. This equipment shall be chosen so as to provide Student with the same benefits he derived from the swings, trampolines, ball pit, stairs, therapy bed and mats in the Jackson SDC. This area may be shared with other classes, although it should be accessible to Student on an as-needed basis. There shall be at least one computer in the classroom that Student can use, although it may be shared with other students. A highchair or equivalent seating that provides Student with the containment and pressure that he needs to meaningfully engage in sensory activities, or participate in instructional activities , shall be available for use as necessary to meet Student’s needs. The classroom shall be staffed with a teacher who is appropriately credentialed to teach Student, as well as trained aides. The adult-to-student ratio in the classroom shall be no more than one adult to two-and-one-half students. 89. School districts may be ordered to provide compensatory education or additional services to a pupil who has been denied a FAPE. An award of compensatory education need not provide a day-for-day compensation; it must rely on an individualized examination, just as an IEP focuses on the individual student’s needs. The award must be reasonably calculated to provide the educational benefits that likely would have accrued from special education services the school district should have supplied in the first place.90. As established by Factual Findings 22, 26, 29, 31, 34-35, 38-41, 45-46, 53-66, 68-76, and 79, the District’s move of the structured autism class preschoolers from Jackson to Plymouth, and the failure to provide Student with appropriately trained personnel in his classroom denied him a FAPE for the current school year. Student is therefore entitled to compensatory education. 91. Ms. Elliott testified that she believed Student would benefit from compensatory education that included “intensive therapy, some playgroup therapy . . . [reading instruction] anything that would help him to get ready for kindergarten.” However, she did not testify as to the amount, frequency or duration of compensatory education, nor did any other witness.23 Therefore, the parties shall meet and confer to determine whether they can agree on an independent assessor to determine appropriate compensatory education for Student. 23 Sufficient evidence was presented during the hearing to determine that Student was denied a FAPE and the appropriate placement for Student for the remainder of the 2010-2011 school year. However, Student’s attorney failed to present sufficient evidence for the ALJ to determine appropriate compensatory education for the denial of a FAPE for the 2010-2011 school year, although the PHC order required him to do so. New case law from the District of Columbia, specifically Henry v. District of Columbia (D.D.C. 11/12/10) ___F.Supp.2d ___WL 4568841, requires an ALJ who finds a denial of a FAPE to provide an award of compensatory education where warranted. 92. If the parties cannot agree to an independent assessor, each party shall provide the other with three suggestions for a qualified independent evaluator to assess Student for compensatory education. If the parties name the same assessor, that person shall conduct the assessment. If the parties name two of the same assessors, Student shall designate who will conduct the assessment. If the parties do not name any of the same providers, the District shall designate an assessor on Student’s list. The cost of this assessment shall not exceed $2,000, and shall be paid by the District. 93. The independent assessor shall evaluate Student and determine appropriate compensatory education to remediate the District’s denial of a FAPE to Student for the 20102011 school year, with particular attention paid to social and behavioral issues, and reading. 94. An IEP team shall meet to discuss the independent evaluation, and adopt the recommendations of the independent assessor for compensatory education. 1. Under Schaffer v. Weast (2005) 546 U.S. 49 [126 S.Ct. 528], the party who files the request for due process has the burden of persuasion at the due process hearing. Student has the burden of proof because he is the complainant. a) Unilaterally changed Student’s program and placement from a “structured autism” special day class (SDC) to a “severely handicapped” SDC, and moved the class from Jackson Elementary School (Jackson) to Plymouth Elementary School (Plymouth)? b) Failed to give Parents prior written notice of its intent to change Student’s placement? c) Failed to include Parents in any planning concerning the transition of Student to his new school which was necessary due to his unique needs? d) Failed to make a clear written offer of services, by not stating in the individualized educational program (IEP) the specific equipment and assistive technology that were a necessary part of Student’s program? e) Would not allow the classroom teacher to communicate with Parents about problems in the SDC classroom at Plymouth Elementary School (Plymouth) during the 2010-2011 school year SDC which include, but are not limited to, a lack of equipment, changes to his program, health and safety issues in the classroom and other staff concerns? A specific educational placement is that unique combination of facilities, personnel, location or equipment necessary to provide instructional services to an individual with exceptional needs, as specified in the individualized education program, in any one or a combination of public, private, home and hospital, or residential settings. 8. A school district must provide written notice to the parents of a pupil whenever the district proposes to initiate or change, the educational placement of the pupil, or the provision of a FAPE to the pupil. (20 U.S.C. § 1415(b)(3); 34 C.F.R. § 300.503(a)(2006); Ed. Code, § 56500.4, subd. (a).) The notice must contain: 1) a description of the action proposed by the agency; 2) an explanation for the proposal, along with a description of each evaluation procedure, assessment, record, or report the agency used as a basis for the proposal; 3) a statement that the parents of a disabled child are entitled to procedural safeguards, with the means by which the parents can obtain a copy of those procedural safeguards; 4) sources of assistance for parents to contact; 5) a description of other options that the IEP team considered, with the reasons those options were rejected; and 6) a description of the factors relevant to the agency’s proposal. (20 U.S.C. § 1415(c)(1); 34 C.F.R. § 300.503(b)(2006); Ed. Code, § 56500.4, subd. (b).) A district’s failure to provide adequate prior written notice is a procedural violation of the IDEA. 10. As established by Legal Conclusions 2-6, and Factual Findings 4-22, 26, and 67-79, the evidence showed that the move of the structured autism class from Jackson to Plymouth was a change of placement. Because the new classroom was so much smaller, some of the sensory and other equipment that created a healthy learning environment for Student could not be moved, and the efforts to replace access to similar equipment fell very short. The subsequent drastic change of classroom aides and qualified teacher to less experienced and fewer aides, and substitute teachers lacking proper credentials further altered Student’s educational environment and establishes that the District modified Student’s placement. 11. Legal Conclusions 2-6, and Factual Findings 12-24, and 26, establish that the District’s decision to change the location of the classroom to one that was unsuitable was a unilateral decision by the District to modify Student’s placement that was made without consulting Parents, or holding an IEP meeting. Student’s IEP for the period of time from March 4, 2010, to March 10, 2011, was written on March 4, 2010. All of the participants at the meeting were left with the understanding that Student would continue to be part of Ms. Elliott’s structured autism program which was located in an appropriate classroom with necessary equipment at Jackson. Ms. Hawk notified Ms. Elliott on May 4, 2010, about the move to Plymouth. The evidence established that neither Parents nor Ms. Elliott had been consulted about the proposed change. When the IEP meeting of June 4, 2010, was held, the District did not notify Parents of the upcoming June 9, 2010 school board meeting where the proposed change of SDC classrooms was to be decided. The general education preschool teacher at Plymouth, who taught the class that Student would be mainstreamed into, was not notified that SDC students would be coming to her playground and classroom until the first day of school. All of these facts establish that the District made a unilateral decision to change Student’s placement. 12. The unilateral decision by the District to change Student’s placement denied Parents the opportunity to meaningfully participate in the IEP meeting of March 4, 2010, because they consented to an IEP based on the reasonable expectation that Student would remain in the same placement. The subsequent unilateral decision to change Student’s placement denied him a FAPE because his Parents were unable to meaningfully participate in the IEP process. 13. As established by Legal Conclusions 2-9, and Factual Findings 27-29, the District did not provide Parents with prior written notice of the decision to change Student’s placement. This denied them meaningful participation in the IEP process because they were led to believe that the change of location for Student’s program would not alter his program in any other way. An appropriately drafted prior written notice would have given Parents necessary information to rescind consent to Student’s IEP, or request that a new IEP meeting be convened. Further, failure to provide prior written notice may have led to a delay in Parents filing the complaint in this matter. 14. Legal Conclusions 2-7, and Factual Findings 30-35 establish that Student’s unique needs required a transition plan for the change in location of his program, and the District failed to offer or discuss such a plan, although Parents requested it at the June 4, 2010 IEP meeting. Again, this denied Parents meaningful participation in the IEP process, and denied Student a FAPE, because he did not transition well into his new classroom. 15. As established by Legal Conclusions 2-7, and Factual Findings 36-41, the District’s failure to accurately describe Student’s program as one for children with autistic-like behaviors, also denied Parents meaningful participation in the IEP process, and contributed to Student being denied a FAPE. The description of Student’s program in the IEP of March 4, 2010, is so amorphous that someone unfamiliar with the program and Student would assume that he was being placed in any one of a number of SDCs that the District has available for children his age. This failure to accurately describe Student’s program in detail also allowed the District to believe that it could make significant changes to the program, without calling an IEP meeting. 16. There is nothing in the IDEA or California law that requires the teacher of a special education Student to communicate to parents anything more that his progress in meeting his educational goals, as specified in the IEP. Parents have claimed that the District restrained his teacher from communicating with Parents. As established in Factual Finding 42, Ms. Elliott did communicate with Parents, even though the IDEA and California required nothing more than progress reports. There was no evidence that Parents were denied meaningful participation in the IEP process because Ms. Elliott did not openly communicate with them. c) Failed to provide Student with a classroom environment (relating to size of classroom and physical amenities, necessary equipment and assistive technology) that would meet his unique needs including his sensory needs? 19. Student alleged that he was denied a FAPE because the District failed to provide him with a transition plan when his SDC changed location from Jackson to Plymouth. As established in Legal Conclusions 2-4, and 17-18, and Factual Findings 43-46, Student’s ability to access his educational program was impaired due to the nature of his disability and the need for him to be transitioned from one school site to another. The evidence established that the District did not suggest any transition program for Student, although it had the opportunity to do so at the June 4, 2010 IEP meeting, when Parents asked for one, and could have done so after the school board approved the move on June 9, 2010. Student would have been more likely to adjust to the classroom on the Plymouth campus if he had been properly transitioned. Failure of the District to do this placed him at a significant disadvantage at the beginning of the school year, and thus contributed to a denial of a FAPE for the 2010-2011 school year. 20. Although Student claimed that he was denied a FAPE because the District failed to consider his safety needs when his program was moved from Jackson to Plymouth, Factual Findings 47-52 do not support this conclusion. When Parents toured the Plymouth campus during the summer of 2010, they pointed out several perceived hazards on the campus, and the District then took steps to remediate these hazards. Additionally, when the District was notified about potential health issues in the classrooms, including but not limited to a rodent infestation, and poor air quality, the District contracted with private businesses with expertise in those areas to conduct inspections, and the District followed up in implementing the recommendations of those experts. There was no evidence to support Parents contention that Student was denied a FAPE because the District ignored his safety needs. 21. As established by Legal Conclusions 2-4, and 17-18, and Factual Findings 5361, the District failed to adequately address Student’s sensory needs in the Plymouth classroom. This was because much of the equipment Student used in the Jackson classroom was not available at all at Plymouth, or was available at very limited times. Further, because the Plymouth classroom was so small, it could not be arranged in a manner that would satisfactorily address his sensory needs. As a result, Student’s behavior deteriorated, as did the behavior of other students in the class at Plymouth, and the noisy and somewhat chaotic environment was not conducive to effective instruction. This was demonstrated by Student’s lack of progress in meeting the benchmark for his reading goal. Student produced evidence that he was not making progress after October 2010, and the District failed to refute this evidence. Accordingly, the District’s failure to adequately address Student’s sensory needs in the Plymouth classroom contributed to a denial of a FAPE for the 2010-2011 school year. 22. Legal Conclusions 2-4, and 17-18, and Factual Findings 53-66 establish that the District failed to provide Student with a classroom environment (relating to size of classroom and physical amenities, necessary equipment and assistive technology) that would meet his unique needs for the 2010-2011 school year. The reduced size of the Plymouth classroom made it impossible for all of the sensory equipment to be installed there. Further, there was no room for computers in the classroom, and thus Student’s time on the computer was reduced. The small size of the classroom interfered with the effectiveness of Student’s BSP, as did the lack of a computer in the classroom to provide Student with reinforcement when he complied with the BSP. The evidence established that the District’s failure to provide Student with an adequate classroom environment contributed to a denial of a FAPE for the 2010-2011 school year. 24. Legal Conclusions 2-4, 17-18, and 23, and Factual Findings 67-79 establish that the District denied Student a FAPE for the 2010-2011 school year by failing to provide him with a program that would address his unique needs. Implicit in Student’s IEP was the premise that he would be taught by a properly credentialed teacher, with a sufficient number of properly trained aides. In addition to the factors discussed above, the transfer of classroom aides, subsequent medical leave of his teacher, and replacement of those aides and teacher with substitutes and permanent employees who lacked the appropriate qualifications affected the quality of the program in the Plymouth SDC to such an extent that the program could not provide Student with a FAPE. This constituted a failure to implement Student’s IEP. As a result, he began refusing to go to school, and failed to make progress after October 2010. He showed regression in his behaviors at home. The District did not refute evidence presented by Student that he failed to make progress or receive educational benefit after October 2010. This change of program, and failure to implement his IEP, by failing to staff his classroom with properly trained aides and credentialed teachers, in itself, denied student a FAPE for the 2010-2011 school year, and this denial of a FAPE was exacerbated by other failures to provide him with a FAPE as described above. 26. The District defends its decision to move the SDC students in preschool and kindergarten from Jackson to Plymouth because at Plymouth the preschool children would be provided with the opportunity to be mainstreamed with same-age, typically developing peers. Nevertheless, as determined by Legal Conclusion 25, and Factual Findings 80-85, the District failed to demonstrate that it was providing a FAPE to Student at the Plymouth site, notwithstanding the mainstreaming opportunities with typically developing preschoolers. The LRE for Student is not a program where he cannot be provided a FAPE, such as the SDC classroom at Plymouth. 29. This is a highly unusual case. The evidence presented at hearing clearly established that Student was denied a FAPE by the District for the 2010-2011 school year. The evidence established by Legal Conclusion 27, and Factual Findings 4-79 supports an order that the District make immediate changes to Student’s educational placement to remedy the deficiencies that resulted from the move from Jackson to Plymouth, as detailed in Factual Finding 88. 30. The evidence established by Legal Conclusion 28, and Factual Findings 4-79 also supports an order for compensatory education. Since Student failed to provide sufficient evidence for the ALJ to make a comprehensive order in this regard, Student shall be assessed by an independent assessor, chosen by the parties in accordance with Factual Findings 89-94. Following the assessment, the IEP team shall meet and adopt the recommendations of the independent assessor for compensatory education. 1. The District has failed to provide Student with a FAPE for the 2010-2011 school year for the reasons stated herein. 2. The District shall provide Student with a placement that conforms to the conditions described in Factual Finding 88 no later than 15 days from the date of this order. 3. Within 10 days of this order, the parties shall determine, in accordance with Factual Finding 89-94, who will conduct an independent assessment of Student to determine what his needs are for compensatory education. The assessment shall be completed forthwith, and the cost of this assessment shall not exceed $2,000. Within 60 days of this order the IEP team shall meet and develop a program of compensatory education as recommended by the independent assessor. Education Code section 56507, subdivision (d), requires that the hearing decision indicate the extent to which each party has prevailed on each issue heard and decided. Student prevailed on issues 1 a), b), c), d) and 2 a), c), and d). The District prevailed on issues 1 e) and 2 b).